Enamel is the hard, outer layer of your teeth. In fact, it is the hardest substance in your body! However, just because it is tough doesn’t mean it’s indestructible. Enamel can chip and break just like your bones. The difference is that once your enamel is gone, it doesn’t come back. This is because it doesn’t contain any living cells, so it has no way to restore itself. That’s why it is so important to take care of it! How do you lose enamel? 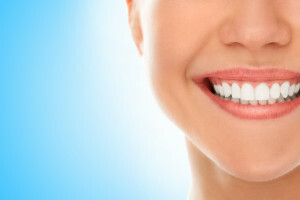 There are few common but varying ways that people erode their enamel. Honestly, it’s harder to destroy your enamel than the media often suggest. However, you do need to make sure you are taking proper care of your teeth. If you don’t, it will be much easier to lose this valuable outer shell that protects your teeth! I’m sorry that I have to break the news, but you have bacteria in your mouth. Right now. And you know what? That’s alright. You need some bacteria in your mouth, just like you need it in your gut to digest food. When I’m talking with kids at my pediatric dental office, I call this bacteria “sugar bugs.” That seems to go over a little better with them. The sugar bugs, as the name suggests, love sugar. After every time you eat, they go to work eating the sugar in your mouth. They metabolize it and excrete it as acid which begins the demineralization of enamel. There are a few ways to remineralize your mouth to stop the acid from weakening your teeth. Brush your teeth with fluoridated toothpaste or use a fluoride mouthwash. That will help remineralize the enamel. Some tap water is infused with a small amount of fluoride. If you are unable to brush your teeth or rinse with a mouthwash immediately after eating, this is your next line of defense. This will help wash the food out of your mouth. By drinking fluoridated tap water, you ingest it into your body and it is also then present in your saliva. Your mouth is actually remineralizing all day because of that! Gum stimulates the saliva flow in your mouth. We recommend either sugar free or xylitol gum. Keeping your enamel strong helps to prevent cavities. Take care of your teeth by being informed and you will likely have healthy enamel for years to come!